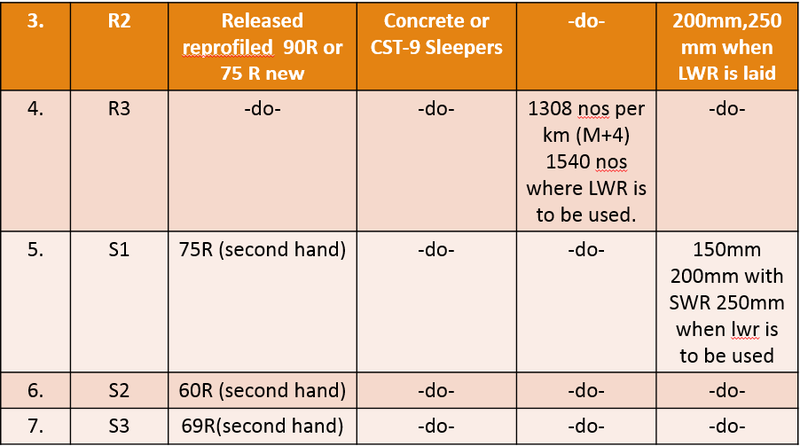 These “transmitted stresses should not exceed the permissible stresses of various track components and bearing pressure of soil – sub grade below”. Since this track structure is not directly embedded into the ground unlike another civil engineering structures so it acts as floating structure (super structure) over the sub-grade foundation and its design is based on ‘theory of ELASTICITY’. 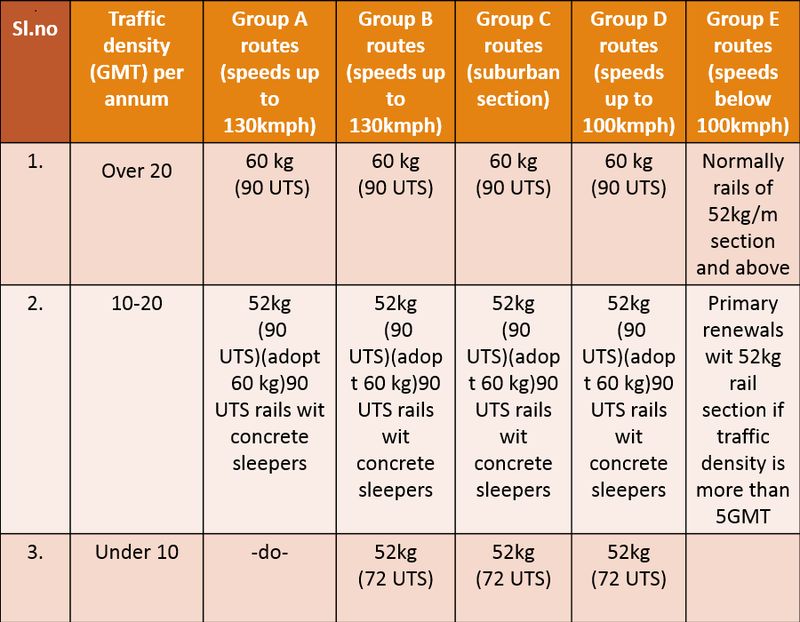 *Broad gauge has been classified into 5 groups namely : A,B,C,D and E routes. 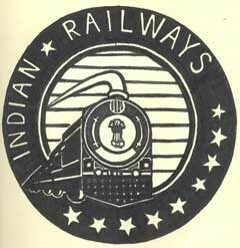 *Meter gauge has been classified into 3 groups namely : Q,R and S routes. 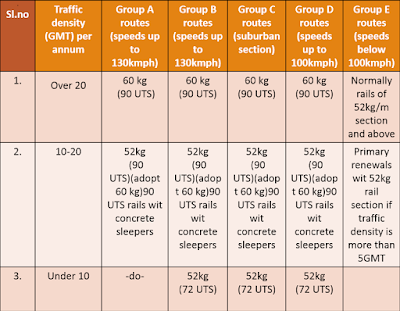 1.Rails:The rail section of 60kg/m and 52kg/m will only be used on B.G routs. 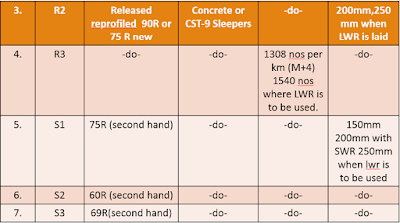 However,90R(90lbs/yd) rails when ever existing may be permitted as an interim measure for speeds not exceeding 130km/hr .